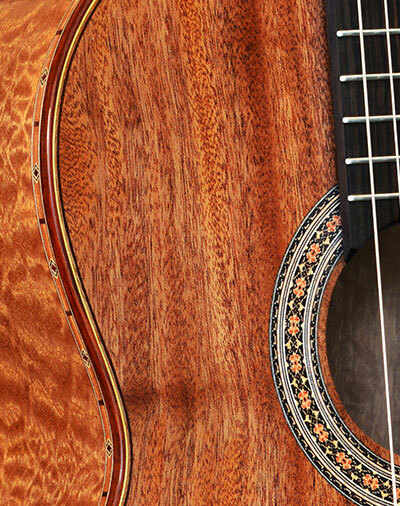 Bellucci Guitars are the result of hundreds of hours of passionate work and dedication. It all started in Italy in 1968. Andres Segovia, Narciso Yepes and Abel Carlevaro were my guitar teachers and are the men responsible to make the seed of music germinate and grow in me with every passing year. My love for luthery was infused early in my life when my grandfather, Ettore Bellucci, gave me an old Neapolitan Mandolin as a gift when I was 7 years old. The Old instrument which I still keep in my studio was the instrument my grandfather used to serenade my grandmother Maria. The old Mandolin soon became my favorite toy and as a result, my parents bought me my first guitar and hired a top classical guitar teacher from Southern Italy to teach me the art of classical guitar playing. In the mid 70's my parents moved to Paraguay, South America, the homeland of Agustin Barrios Mangore, the greatest composer the classical guitar has ever known. 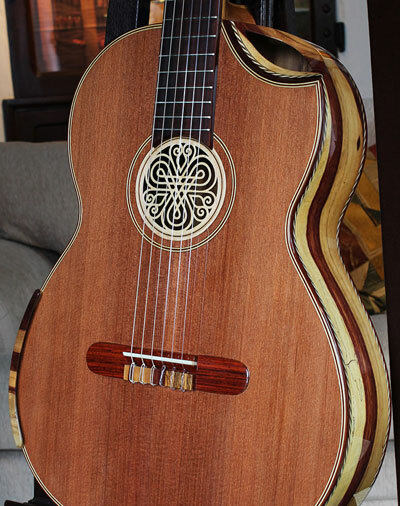 Paraguay is a country with a long tradition in guitar construction that dates back to the Jesuit Reductions of the 15th Century. 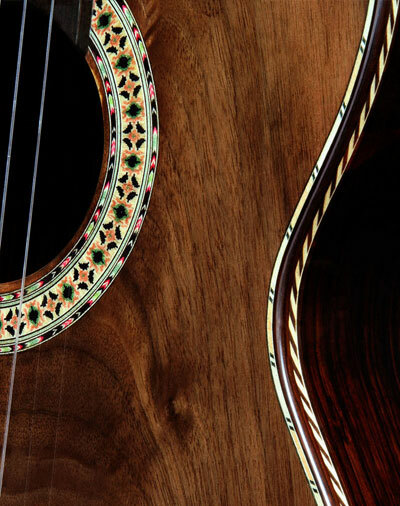 The match was one made in Heaven: on one hand my passion for the guitar, the deep knowledge of the classical repertoire and the thorough understanding of the specific demands of a professional player and on the other, the specialized skill of some of the finest woodworkers in the region with a skill that has been passing from one generation to the other for centuries. Add to this the legendary aura that "the land of Mangore" adds to each Bellucci creation and the proximity to some of the best sources of woods on the planet at some of the most competitive prices plus a relatively low cost of labor, and you will understand how it all conjured in making it possible for me to come up with a marvelous concert class guitar possessing unmatched beauty and a uniquely beautiful sound. I build classical guitars from a player's perspective and playability, sound and stunning beauty are always the main objectives to be attained. 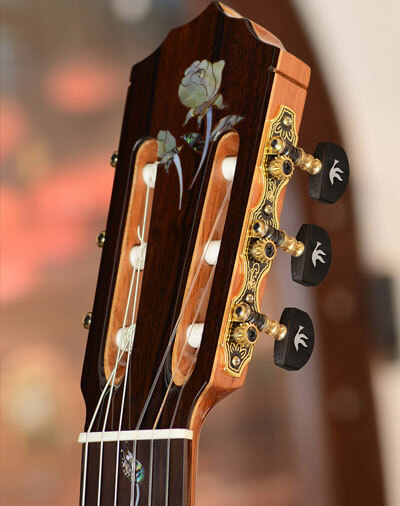 Concert guitars with these characteristics are sold anywhere between 8,000 and 30,000 US$ in the US and Europe. My concert guitars are 100% hand crafted in Asunción, Paraguay and are played in over 155 countries. 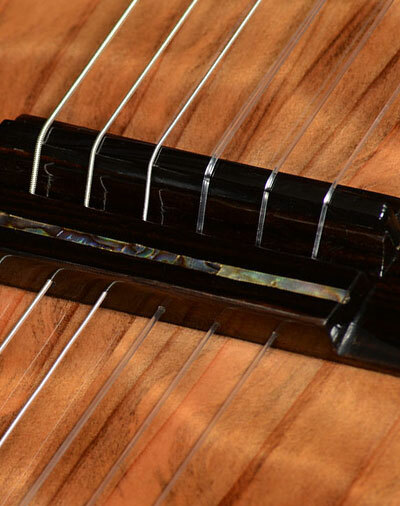 Read more about Bellucci guitars amazing history.